“Irregular-shaped pellets reduce drag and increase tissue damage.” Hevi-Shot goes on to say, “But do you know the difference between HEVI-X and other products claiming to be in the same category? Certainly, there is nothing wrong with the conventional and well-accepted practice of trying to promote whatever it is you are trying to sell. What is wrong is just flat-out lying in an attempt to garner a sale under false pretenses. 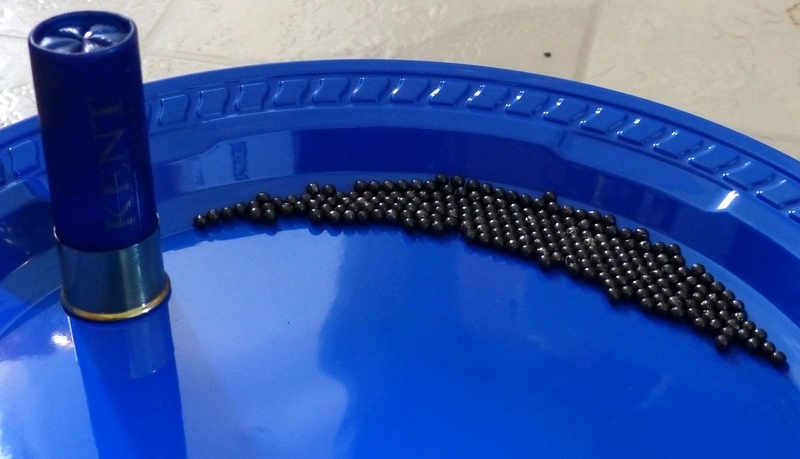 The idea that “irregular-shaped pellets reduce drag” is a very clear, blatant lie. Nothing could be further from the truth, for the best form factor for shot is a perfectly round sphere. Right after pouring the shameless lie about “reducing drag” over your head, Hevi-Shot goes on to say that bismuth “tends to deform.” In the alternate bizzaro universe of Hevi-Shot, deformed shot is somehow an advantage, as that is what irregular-shaped shot is. The entire company is based on a lie: “HEVI-SHOT® is "heavier than lead"®.” What weighs more, a pound of lead or a pound of feathers? What Hevi-Shot apparently is clueless about is that the difference in shot materials is primarily density, not weight. A 1-1/4 oz. payload is a 1-1/4 oz. payload. 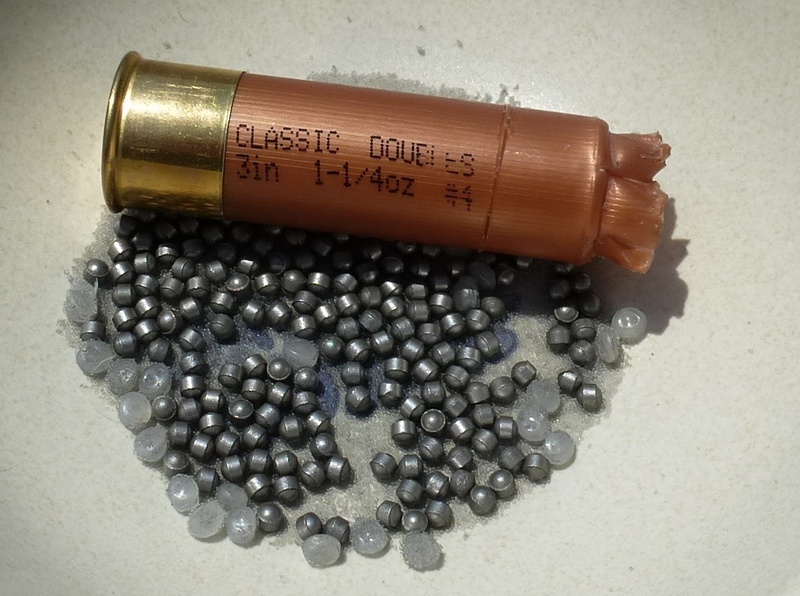 Hevi-Shot continually avoids publishing shot densities, as is the case with “Hevi-X.” According to Tom Roster, “HEVI-X is a mid-density pellet—about halfway between steel shot (approximately 7.86 g/cc) and HEVI-Shot (approximately 12.0 g/cc).” Not even Tom Roster can be bothered to publish the actual density. Federal wins the density race easily as far as factory loads with their 18 g/cc Heavyweight TSS loads that puts everything else to shame. Bismuth runs about 9.7 g/cc and lead is about 11.1 g/cc. Apparently, Hevi-Shot is having a really rough time competing with current bismuth loads, as well they should. Bismuth does not destroy lead-only barrels and doesn't gouge forcing cones and choke tubes as steel and tungsten can. Regardless of what shotgun you have, bismuth is easier on it than steel or tungsten loads. The only safe as lead tungsten load is Kent Tungsten Matrix. We all have choices and lots of things “work.” Merely being able to drop a duck or a pheasant was not alert the media material 120 years ago. Unless, that is, you buy into the incomprehensible fraudulent claims of Hevi-Shot. They are the snake-oil champions of shameless bluster, a company that is allergic to truth in their fact-free advertising. Anytime you start hearing about increased “wounding trauma” in a shotshell, buckle up for it is going to be a bumpy ride. The goal is not to traumatize a bird, the goal is instant kills with no crippling losses. A #5 lead pellet is a formidable pellet to a 2-1/2 lb. mallard or a 2-3/4 lb. pellet. If wingshooting was comprised of shooting flying pigs, it wouldn't be an appropriate pellet diameter, but that isn't the case. Steel, actually soft iron, works . . . within range. It does not have the ballistic potential to equal lead. It is estimated that it takes about 6 shells for every duck taken, and 18% hunters report an average 18 percent loss rate to USFWS. The wounding rate on ducks is at least 25 percent —translating to “approximately 3.4 to 3.7 million ducks and geese unrecovered each year in the U.S. and Canada. Now, for the first time, we have bismuth loads that actually offer more penetration than their lead counterparts at 45 yards. Bismuth #3 beats lead #5 by a small amount and Bismuth BB beats the old standard of lead #2 for geese at 45 yards. These loads make shameful gimmicks like Hevi-X look pathetically weak by comparison, for that's exactly what they are.